Customers can often reconsider their tattoo decisions or think about getting a new print, but the old adage “out with the old” applies to this decision as well. Using traditional methods and procedures, carving old tattoos are painful, time-consuming and take a heavy toll on the skin by leaving scars. Furthermore, they can be inaccurate and damage the surrounding skin. At Browsbar, we have found a way to eliminate any signs of the tattoo you wish to have removed, ensuring that there’s not a single shred of scarring that is left. Using lasers to target the areas on the skin, our experts can make tattoo removal a very smooth procedure. 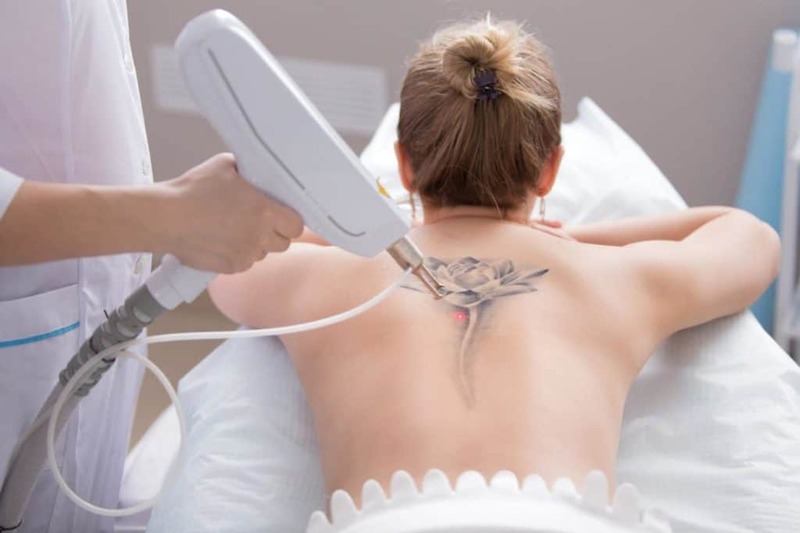 The Q-switched lasers are very precise and high powered, which allow our experts to precisely trace those tattoos to shatter the ink into harmless microparticles. These microparticles are disposed of by the body itself through its natural processes. The photoacoustic energy used in these modern lasers does not spread a lot of heat but only gently enters the skin to reach the pockets of tattoo ink below. The element of precision allows the surrounding skin to remain unharmed by the laser, leaving your skin clean and flawless. No more embarrassing tattoos. No more unwanted attention. No more old “you”. A new beginning awaits you. The treatment can allow you to clean up your skin and allow it to better itself. The tattoos endanger the natural processes that keep the skin from gathering waste. With our Q-Switched Tattoo Removal therapy, we can end your woes. 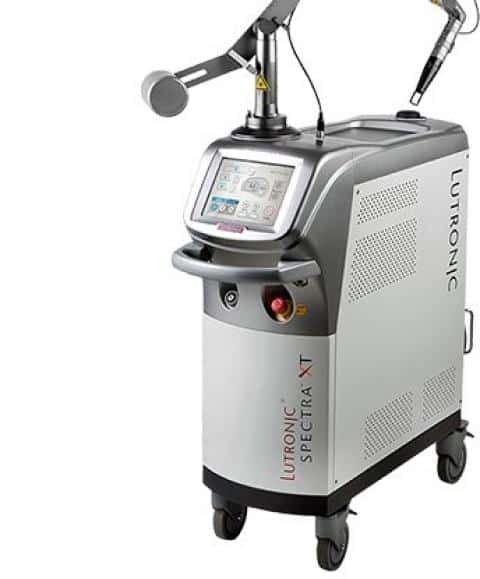 SPECTRA XT is the latest new cutting-edge device for tattoo removal. It is even addressed as the “Extended Platform” because of its widely-extended clinical indications and applications as compared to other similar devices. The 660 nm is a safer wavelength than 532 nm for removal of epidermal pigmented lesions due to its lower absorption in melanin and oxy- and deoxy-hemoglobin. In particular, the lower absorption characteristics of 660 nm in oxy and deoxy-hemoglobin allow vessels to remain unbroken even after laser treatment, therefore minimizing potential side effects such as PIH that usually occur as a result of inflammation.